Social media has become ingrained in my everyday life, it’s the first thing I check in the morning and the last thing I check at night. Over the festive period I wanted to take a complete break from work and social media, something I had never done before but wanted to try out. Aaron had booked two weeks off work and I wanted to spend quality time with him and my family, without the distraction of social media. I rarely use my phone when I’m on holiday as I don’t care about it when I’m away, so I thought it would be good to see what it’s like to have a little social media detox at home. This is what I learnt over the two weeks! Social media is a massive time waster – The amount of times I used to scroll on Twitter or Instagram aimlessly is ridiculous, it’s so easy to get sucked in and the next thing you know you’re reading an hour long thread about a ghost (to be honest it was a great thread). Don’t get me wrong I love scrolling on Twitter and Instagram, however excessive scrolling is just a waste of time. It also made me realise that it impacts on the quality time that you spend with others, it’s important to value and take time out and away from social media to fully appreciate the people in your life. My focus became increased – Whether I was reading a book or watching a movie, all of my focus was on that activity instead of occasionally checking my phone throughout. Everything became more enjoyable and I actually spent more time doing the things that I love, I even found that I had more time to spare. Procrastination – Since my little social media detox I’ve tried to not scroll on my phone when I’m in the middle of working which has allowed me to stay focused and work for longer periods of time, therefore my productivity has improved. Procrastinating is something that is so easy to get sucked into, however I’ve learnt how to not procrastinate as much as I did and I’m now feeling more inspired and motivated. I’m not addicted to social media – “You spend so much time on social media, you’re addicted” is a phrase that I’ve heard countless times, however I’ve realised that I’m not addicted as even though I missed it I didn’t feel any urge to check my notifications. I must admit that now I’m back in a routine as the festive period is well and truly over, I would miss it a lot if I took a break now however I don’t feel the need to check my accounts. I never feel like “I must check my Twitter” for example, although I love engaging with people online but I’m more than happy to put my phone down for a few hours. Social media is incredible, it keeps us all so well connected and I love sharing parts of my life online. However I don’t need to be connected 24/7 and a break away is exactly what I needed. Just like everything in life it’s all about balance, so next time I’m out having lunch with friends I’m going to wait until I leave to check my emails and notifications. I totally agree with these points you made! I am so drained from being on social media platforms all the time. 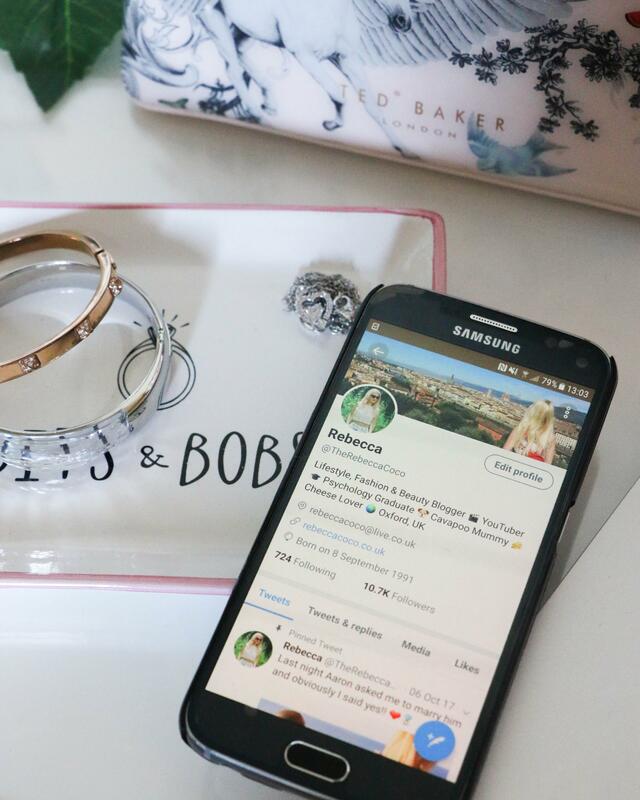 What a great post Rebecca – you’re saying out loud everything we all think about social media in the end. Because yes we can love being on there, but deep down we know that it’s not good to use it too much. Taking a break is a great way to focus on other things, that’s especially true for reading and films!